Hammering a flat spot on a rock hillside. 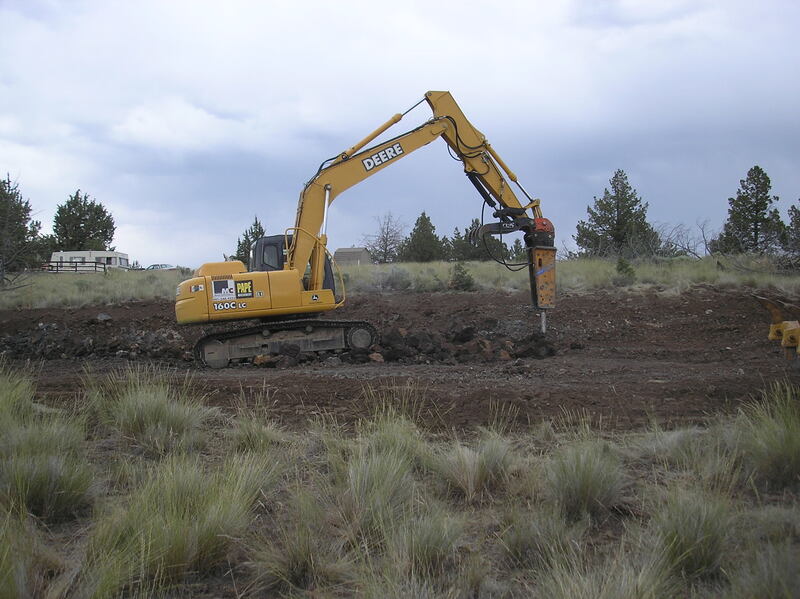 Excavation is the foundation of any building project. If done correctly it works well and is never noticed. Planning the excavation for drainage, function and appearance is paramount to your project. With our fragile desert environment the equipment should never get off the job footprint . When the job is completed it should look like it has always been there. I started my career in dirt work in the late 60s as a teenager out on the ranch. Since then I have operated equipment types too numerous to mention. 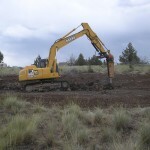 Some of the projects I have done are miles of road building, septic system installation, water well drilling, underground utilities, both residential and commercial, and site prep for home construction. I have a medium sized tractor backhoe and a small dump truck for site work. For large jobs I rent appropriate equipment or hire a sub contractor to help. It was real nice talking to you I will get some of my plans together and contact you real soon thank you for spending some time on the phone the info was real helpful and look forward to meeting you and working together in the near future. Mike, I think I left my phone on the table at the Sunday game. Can you confirm and I’ll try to pick it up on Monday. glad you got your phone.